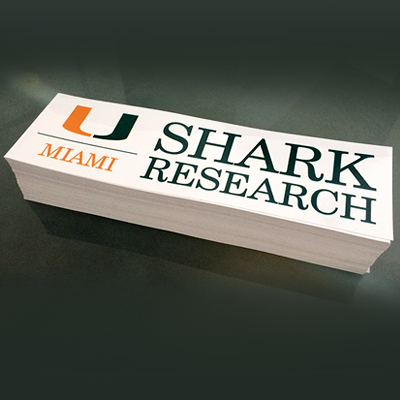 Vinyl Bumper Stickers Printed in Full Color on 4mil White Vinyl Stock. Printed on 4mil All Weather Vinyl Stock. Available in increments 250, 500, 1000, 2500, and 5000. Vinyl Bumper Stickers: Amp up your advertising game with our Vinyl Bumper Stickers. Printed in full color on all-weather 4mil White Vinyl, these Vinyl Bumper Stickers come in a variety of sizes sure to catch the eye of fellow drivers. The durable vinyl is waterproof, tear-proof, and scratch-proof, so your stickers will have lasting visibility both indoors and outdoors. Our Vinyl Bumper Stickers are laminated in a rich UV Gloss and come in quantities of 250, 500, 1000, 2500, and 5000.